Driver Education is required by the GA DDS for all Georgia teenagers seeking their first driver’s license. Everyone must complete a 30-hour course in order to show competence in the rules of the road and to ensure safe driving practices. 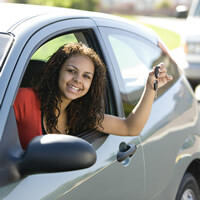 Unfortunately, not every teen has a schedule that allows them to attend driving school in person. School, sports, clubs, homework, after-school jobs… when is there time to take additional lessons? This is where our online Driver Ed course can come in very handy. GA Driver Safety offers a convenient course that can be completed from home, around any schedule. There’s no reason for driving school to be a hassle, so our goal is to make it easier for students and parents alike. Our school is licensed by the State of Georgia and has a comprehensive driver safety course that is fully compliant with Joshua’s Law. Driver Education is important not only because it teaches teens how to drive, but also how to stay safe while on the road. Learning to drive safely is a requirement and a necessity. Georgia roads can be hazardous, and it’s vitally important for teens to get the Driver Education they need to feel comfortable behind the wheel. Enroll in our online course now!